Have an idea for a (digital) project but need other students to help make it happen? 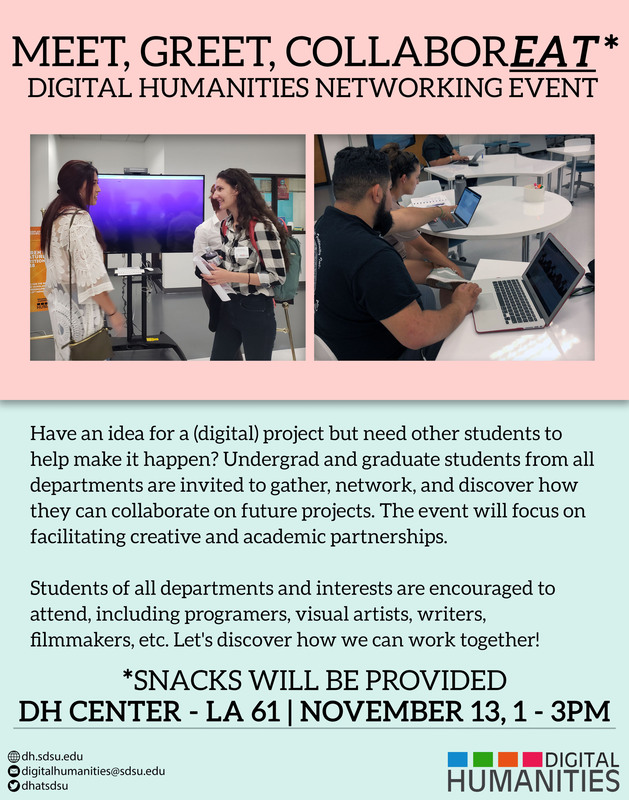 Undergrad and graduate students from all departments are invited to gather, network, and discover how they can collaborate on future projects. The event will focus on facilitating creative and academic partnerships. Students of all departments and interests are encouraged to attend, including programers, visual artists, writers, filmmakers, etc. Let's discover how we can work together!